There have been lapses on the part of the Department of Wildlife Conservation (DWC) to protect wild elephants over the past years, the Auditor General has highlighted in a special audit. The report prepared by the Auditor General last year observed that the number of elephants diminishing due to capture and killing is twice as much of the number of the increase. “This decrease is a huge waste of wealth in our country. 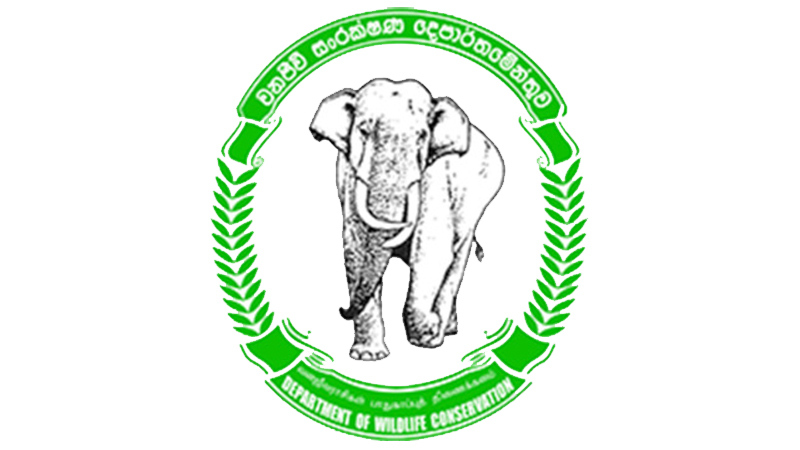 If this decrease is not prevented immediately, under no circumstance the disappearance of Sri Lankan Elephant can be precluded,” a special report by the Auditor General on the ‘Performance of Wildlife Conservation Department’ said. The audit had revealed that the racketeers who capture calf elephants illegally from forests had become active again due to the failure in expediting the implementation of the law in this connection. It added that the officers of the DWC had also been involved in this racket. The report further revealed that garbage is disposed in 54 places in wildlife zones and over 300 wild elephants hang about in them. “A large number of wild elephants face various diseases and die due to intake of garbage at present and the veterinary surgeons said that various things such as non-degradable polythene, shopping bags, and plastic bottles can be seen in the stomach of elephants in post mortems carried out. Although there is an ability to avoid this condition by construction of electric–fences, the DWC had failed to carry out a proper procedure with the relevant Local Authorities,” the report stated. The report also indicated that only one out of the 17 elephant passes identified in the country has been gazetted. “Only the elephant pass at Kawdulla –Minneriya had been published in the Gazette (in 2004). Elephant passes at ‘Koholankala, Unathuwewa, Wetahirakanda, Dahayyagala, Puwakpele, Ulhitiya, Hungamalaoya, Mahawewa, Rathnella, Digampothana, 5th Post, Nachchaduwa-Mahakandarawa, Nachchaduwa-Wilpattu, Sooriyapura, Madupara and Puluyankulama’ have not been gazetted. It is concluded that the failure in legally opening 16 identified elephant passes approved by the Cabinet of Ministers had resulted in the increase in the number of deaths of elephants and humans,” the report observed. It pointed out that only 4 percent of the Wildlife Conservation Fund was spent on the improvement of enrichment of animals in parks. “Even though an income of Rs.1,857 million had been earned from 26 National Parks in 2016, the expenditure incurred for the habitat enrichment of the wild animals is Rs.71 million. It is a low percentage of 4 percent,” the report indicated. The AG’s Department further highlighted that 536 vacancies of the staff existed in the DWC as at the end of 2017. “The DWC had to perform the duties of 33 vacancies through five officers. The process of decision making depended on five officers,” the report said. According to the data of the DWC, 38 tuskers had died from 2012 to 2017. “Proper action had not been taken for the security of the Tusker ‘Dala Poottuwa’ who was blind due to gun shots. The moving pattern of that animal had not been identified. These were an indirect support to the killing of the Tusker,” the report said. The audit report was also critical of the fact that the DWC was paying little attention on the removal of obstructions on elephant passes while spending million of Rupees on driving away elephants and the purchase of elephant crackers. “Even though an expenditure amounting to Rs.1,081 million had been incurred for the construction and maintenance of electric fences during 5 years, it was observed that equipment for electric fences valued at approximately Rs.22 million had remained idle and underutilized in the Office and Beat Offices,” the audit report revealed. “The wildlife habitats had become polluted due to stirring up of dust as a result of entrance of a large number of vehicles at once to the Yala National Park and their fast running. The average number of motor vehicles arriving was about 250 per day (within 10 months) and there are instances of this exceeding 700 during school vacations. As the Park is overcrowded during the hours from 6 am to 12 pm in the morning and from 2 pm to 6 pm in the evening, the traffic congestion of the Yala National Park is no better than the traffic congestion we experience in Colombo (Especially at the Palatupana Access),” the report stated. The report also highlighted that a financial misappropriation of Rs.1.8 million had been committed at Udawalawa National Park (Rs 1.7million) and Minneriya National Park (Rs.168,020) in 2016 when issuing entry tickets. “It is concluded that the elephant resource will become extinct in Sri Lanka within the ensuing years, if proper arrangements are l not made without delay to control the human elephant conflict,” the report observed.